New laws should be legislated to safeguard public servants so that they can carry out their services without fear, says former Defence Secretary Gotabaya Rajapaksa. Commenting further he said public servants have rendered an immense service to end the 30-year war. Public service is a very important sector in our country and everything depends on it, the former Defence Secretary further said. Public service can influence the regime and that is why it is of importance, he said. 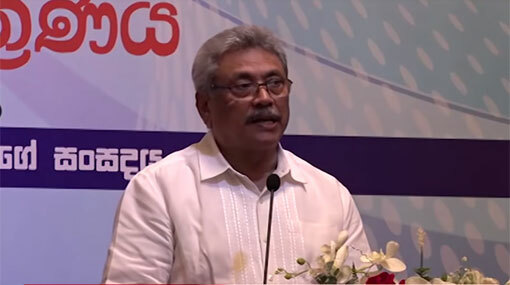 Stating that efficiency in the public service is a necessity, Gotabaya Rajapaksa added that public service had greatly committed to end the war.